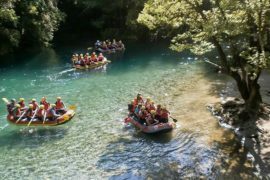 This tour operates with a minimum of 2 people. For parties more than 2 people, rates available upon request. 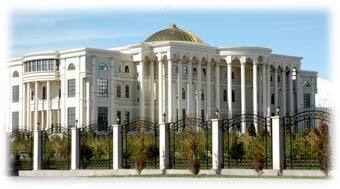 Arrive at Tashkent Airport, where you will be met by your driver and transfer to your hotel for check-in and overnight. Rest of the day at leisure. 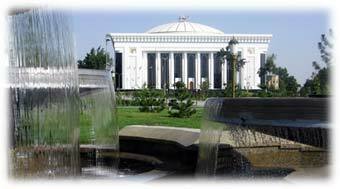 After breakfast at your hotel, meet with your local guide at reception for your Tashkent City Tour. 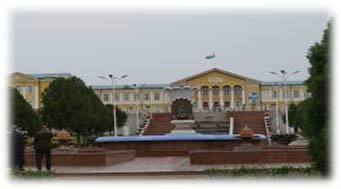 Highlights include Independence Square and Amir Timur Square. Take a ride on the famous Tashkent Metro, decorated from Soviet times. Visit the old city with its bazaars, narrow streets, and ancient Madrasahs from the 15th and 16th centuries. Optional lunch at an authentic Tashkent restaurant. 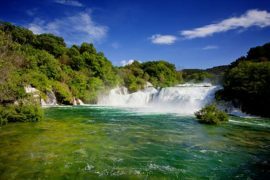 Continue the tour walking the streets to visit local artists, souvenir shops, city fountains, and modern monuments. Visit other important mosques and historic buildings of the city. Optional dinner at Binkent Yughur Restaurant. Overnight at your hotel. After breakfast at the hotel, transfer to the airport for your domestic flight to Urgench. 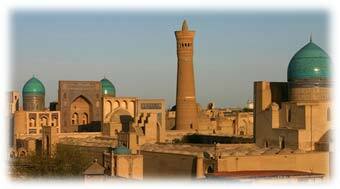 After a thirty-minute drive you will arrive in Khiva and check in at your hotel. Meet your guide at the reception for your full-day tour, including the Ichan Qala Inner Fortress, with its almost-intact Medieval old town, Ican Kala, or inner defense circle, the first UNESCO site in Central Asia. Optional lunch. Visit the Kalta Minor Minaret, which means “short minaret.” Continue to the Tash Khouvli Palace, built in 1839, located in the eastern part of the Ichan Kala, lavishly built by the Khan, who spared no expense in the decorations of his palace. Optional dinner at the Toza Bog Restaurant at Khorezmhsh’s summer residence. Same hotel for overnight. After breakfast at the hotel, this morning we drive to Bukhara, crossing the Qizilkum Desert. Optional lunch at a local fisherman’s house or picnic lunch. Continue driving with short stops for photos until arrival in Bukhara. Optional dinner at Bella Italy Restaurant. Overnight at your hotel. 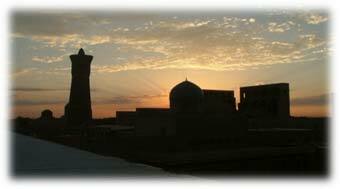 After breakfast at your hotel, meet with your guide at 9:00 AM for your city tour of Bukhara. Your tour begins with the Citadel Ark, a fortress from the 4th century, which encompassed the town and served as a home for the royal courts that ruled the region around Bukhara. Visit the Samanides Mausoleum (9th to 10th century), one of the most important and finest examples of Central Asian Architecture and the resting place of the powerful Ismail Samani, an Amir of the Samaid Dynasty that ruled in the 9th and 10th centuries. Next we visit Chashma Ayub (14th century), or “Job’s Well,” which today is still a source of pure water, constructed under the reign of Timur. Optional lunch at Lyabi Hovuz in an open-air restaurant. After lunch continue the city tour with some shopping. Also stop at the Medreseh of Nodir Divan Beghi to learn more about Uzbeck culture. Lastly a visit to the Poi Kalon Complex, the central tourist attraction, dominated by structures built in the 12-16th centuries, consisting of the Kalyan Minaret, Klyan Mosque, and the Mir I Arab Madrasah. Optional dinner at a traditional Uzbeck house with a local family and the opportunity taste authentic homemade dishes. After breakfast drive to Samarkand. En route stop at a private pottery workshop for a master class workshop or just shop for ceramics and embroidery. Optional lunch at the house of the pottery master. Continue the drive to Samarkand and check in at your hotel. The evening is free to explore the ancient city on your own. Optional dinner. After breakfast at your hotel, meet with your local guide at 9:00 AM in the hotel lobby to begin your Samarkand City Tour. 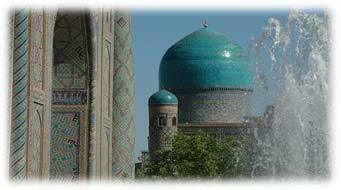 Samarkand is one of the oldest cities of the East. It played a huge role in the development of the Great Silk Road that connected East and West. It was not only a center of trade but also of manufacturing and handicrafts that were sought throughout the ancient world. Samarkand’s Registan Square dominates the city with its three great Medresehs: Ulunghbek (15th century), Shir-Dor(17th century), and Medreseh Tilla-Kori (17th century). Visit the architectural complex, Shahi-Zindeh (11-15th centuries), where a cousin of the prophet Muhammad, who came with the Arab invasion in the 7th century, is said to be buried. Optional lunch at an Uzbeck house to taste local homemade dishes. After lunch visit the Mausoleum of Guri Emir (14- 15th centuries). The architectural complex with its Azure Dome contains the tombs of Tamerlane, his sons, and grandsons. Timur’s teacher, Sayyid Baraka, is also honoured with a place in the tomb. Optional dinner at an old city restaurant. After breakfast, leave Samarkand for Hodjent, crossing the Tajik checkpoint at Oybek in approximately 250 km. Say goodbye to your Uzbek driver as you cross into Tajikistan, and meet your new Tajik guide and driver for the drive to Hodjent, the second largest city in Tajikistan, situated on the Syr Darya River at the mouth of the Fergana Valley, with a population of 149,000. In the afternoon, visit the Cultural Palace, built in the 1950’s. 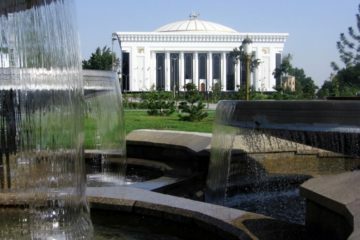 The first president of Tajikistan was chosen here in 1992, and in the late 1990’s, the agreement that ended the Tajik Civil War was executed here also. Continue to the Central Mosque, situated in the city center. Continue to your hotel for overnight. After breakfast, depart for Pendjikent via the Shahriston Pass (3378 m.), high up in the Pamir Mountains. 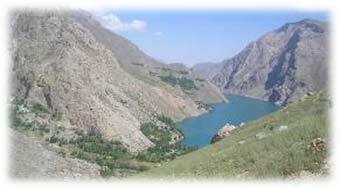 The city is located in the Khujand area in the picturesque Zervshan River Valley. 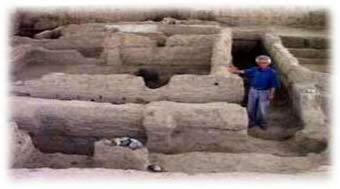 The original site of the city is thought to be once part of ancient Sogdiana territory, originating in the 5th to 8th century in pre-Islamic Central Asia. Pendjikent became an important cultural and crafts center of Sogd. The ruins of this ancient city, found in the last century, were dubbed the “Central Asian Pompeii.” It was a superbly-fortified and well-organized city with palaces, temples, markets, and rich dwellings, decorated with paintings as well as wooden and clay statues. We will then visit the church of fire worshipers. Today tourists may also visit the ongoing archaeological excavations. Night accommodation is in a local guesthouse. Today we will take a day trip to the Fannsky Gory, or the “Fan Mountains,” one of the Central Asia’s most popular hiking areas. Our journey begins from Pendjikent to the “Seven Lakes,” or Marquzor Lakes, about 60 km. south. You will have time for a short hike. The road winds along a gorge where seven lakes are located, situated at different altitudes. Each lake has its own gorgeous color. 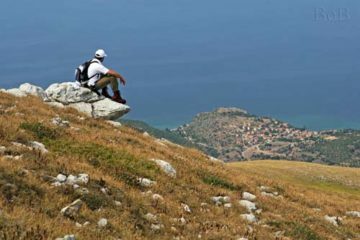 Along the route you can meet the local people and get a glimpse of their way of life, and if time allows, more visits and hiking. Overnight at your guesthouse. After breakfast depart for Iskanderkul Lake (2255 m.), high in the Fan Mountains. The amazing scenery makes it one of the most picturesque and tranquil locations in Central Asia. 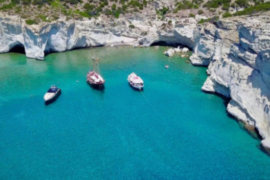 You will be able to walk along its beaches and hike to a nearby waterfall. 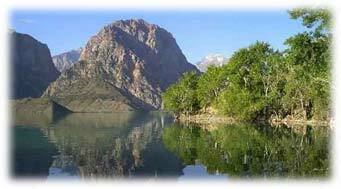 Tajikistan has the highest water reserves of all Central Asia, with more than 1,000 rivers, 200 lakes and 8,000 glaciers. Overnight at a guesthouse. In the morning, leave for the capital city of Dushambe via the Anzoba Pass and Isticlol Tunnel. The road travels through dramatic scenery and many mountain passes. Ample time for many photo stops. Dushambe means “Monday” in Tajik, named because it grew from a village that was a popular Monday market place. By 2012 the population has grown to 100,000. Upon arrival in Dushambe, start with a city tour, visiting Rudake Park, the National Library, the White House, the National State Seal, the House of Parliament, and Jomi Theatre. Time for photos in the National Park, where you can view the 165 m. flag pole. Visit the Central Museum followed by lunch. 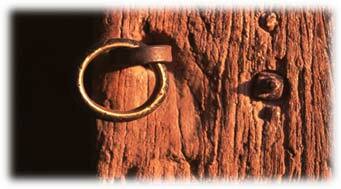 After lunch, we will visit the Gurminj Museum of Traditional Musical Instruments. Overnight at your hotel.